You can be a part of the Full Programme or just the Professional Development Programme at Vanilla Ink to help with your jewellery practice. The Vanilla Ink Programme is for emerging jewellers / silversmiths at the beginning of their careers. The programme runs for 9 months from February to October each year, with you being expected to commit 100% to the programme. Vanilla Ink has spent a great deal of time developing the structure of the programme and has worked hard to bring in a host of brilliant partners to deliver the professional development workshops, skills development workshops (that will be tailored to your needs), monthly bespoke mentoring and regular networking events. The programme is broken into two sections: 'Learning' and 'Reflection.' The learning is a 6 month intensive professional development programme and the final 3 months is reflection to support you in putting what you have learned in to action, with the support of your mentor. Full access to the 9 month programme. Monthly professional development from industry experts. Monthly 'Meet the Maker' events. Monthly tailored skills development workshops led by Head Goldsmith, Scott McIntyre. 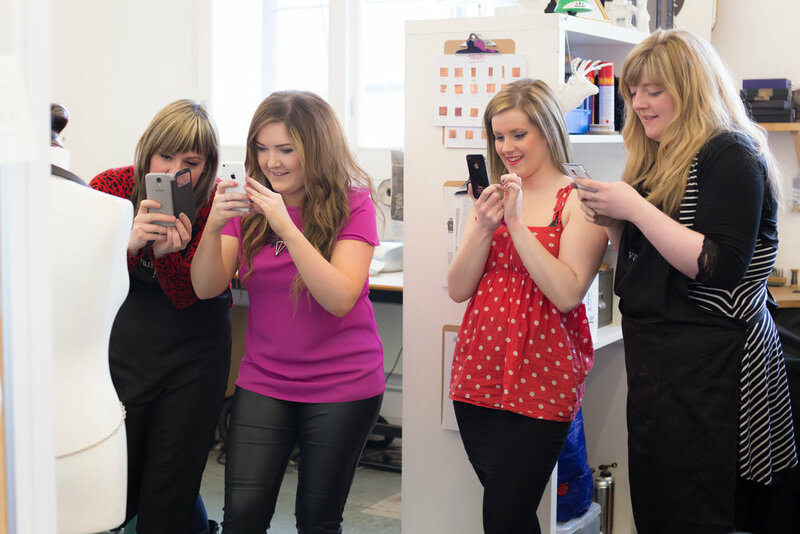 Access to a fully equipped studio and communal tools for the full 9 months of the programme. Discount to any Vanilla Ink class. 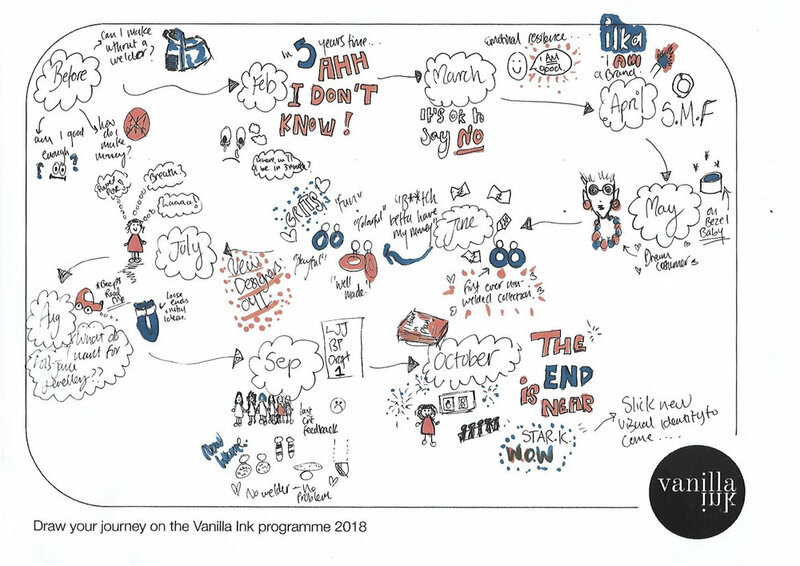 Inker Lois drew her journey on the Vanilla INKubator Programme, it beautifully highlights what her 9 months looked like. Lois won the ‘Visual Identity’ award during her pitch. She will work with STARK to develop her brand and visual communication thanks to Vanilla Ink. Have completed their studies or training (no formal education required). Be within 3 years of starting out in the jewellery industry. A portfolio of recent work. Be committed to the development of their practice in the hopes of making it their full-time occupation. Commit to the programme for the full 9 months (this includes 1 full day a month in the studio, 1 hour with your mentor, any skills development sessions you chose to join and your own time at the bench). Be expected to attend an interview ahead of the programme.